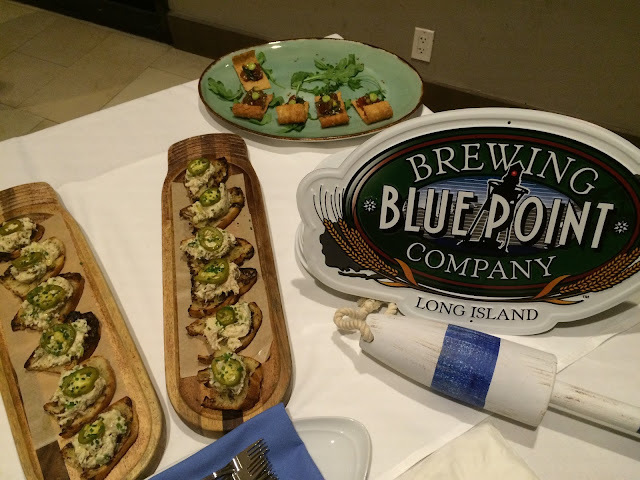 Blue Point Brewing Company out of Patchogue, Long Island recently forged a culinary partnership with Chef Paula DaSilva. 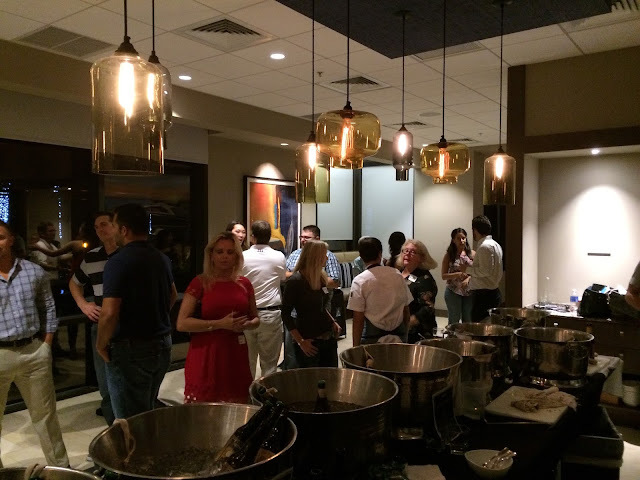 To celebrate, they put together a Seafood Spectacular dubbed Seafood & Suds, held this past Tuesday evening at 3030 Ocean in the Ft. Lauderdale Marriott Harbor Beach Resort. A variety of Blue Point beers were paired with the seafood creations of Chef DaSilva and her protégé and new Executive Chef of 3030 Ocean Adrienne Grenier. 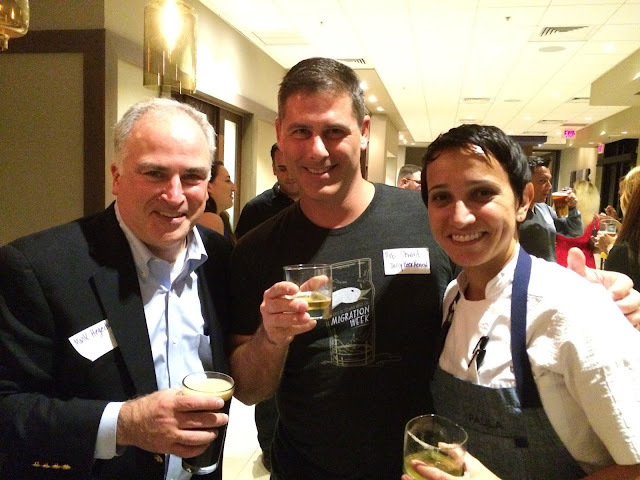 Besides the All-Star chefs, Blue Point President Mark Hegedus was on hand to chat about the brewery and beer and partnership. Mark told us a little about the history of the brewery, named after the Blue Point Oysters prevalent near the brewery on the south shore of Long Island. 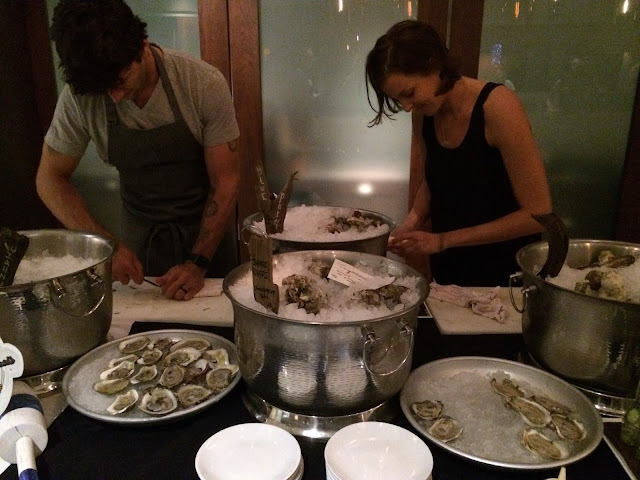 Being linked to seafood since its inception, making this culinary partnership was a no-brainer. 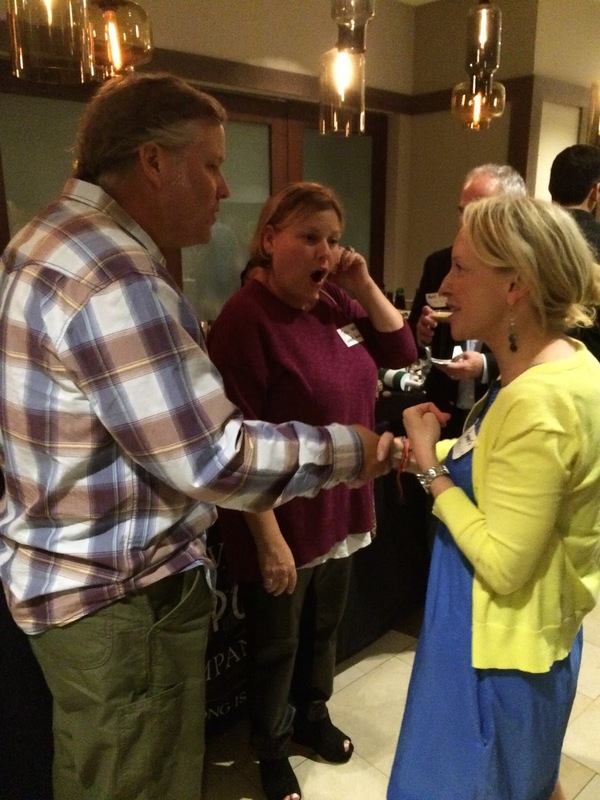 As the night progressed, Mark was very generous with his time to chat about his beers! First Wave. 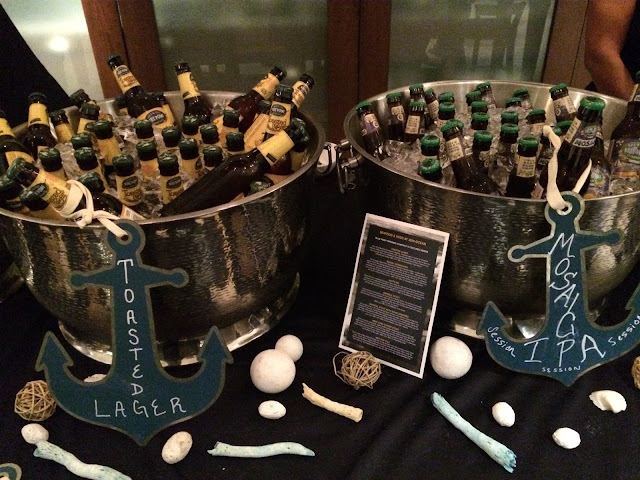 We started off by sampling Blue Point Toasted Lager, their top seller, along with Mosaic Session IPA. 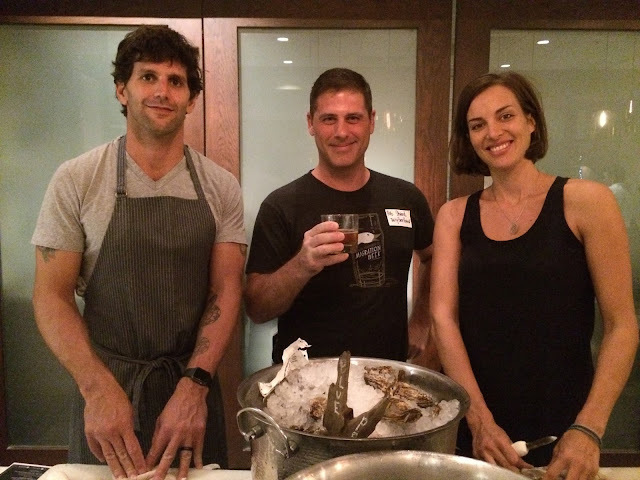 Those beers were paired with an awesome assortment of four fresh oyster varieties (including the Long Island Blue Points) and a killer fresh fish ceviche made with local veggies from Swank Farms. 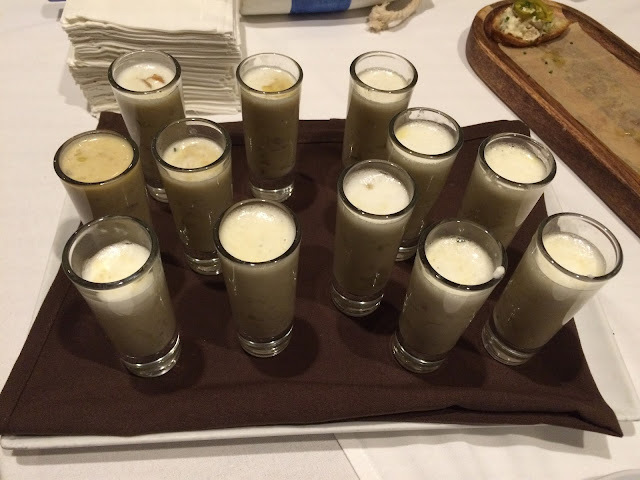 They also had a beer cocktail called The Swanky Blue Point in honor of the farm that has supplied so much food to Chef DaSilva over the years. Also, many thanks to Chef DaSilva's duo of friends that were tasked with shucking hundreds of oysters! 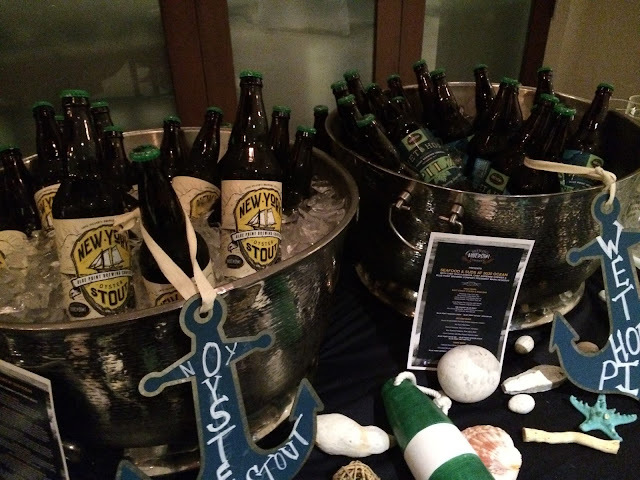 Second Wave featured Blue Point Oyster Stout, made with local Long Island shells and bay salt; Wet Hop Pilz, brewed with fresh, green hops from Elk Mountain Farm within 48 hours of being picked; and White IPA, a bitter-leaning wheat beer with tons of flavor. 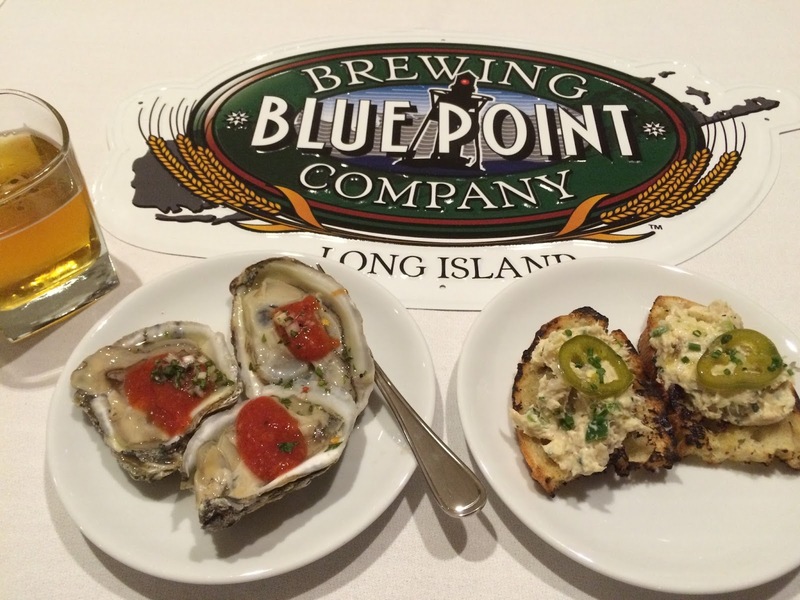 Match those beers with a spectacular Crostini with Smoked Mahi Dip and Pickled Jalapenos and an awesome Clam Chowder made with Blue Point Toasted Lager (among many options), and OMG! 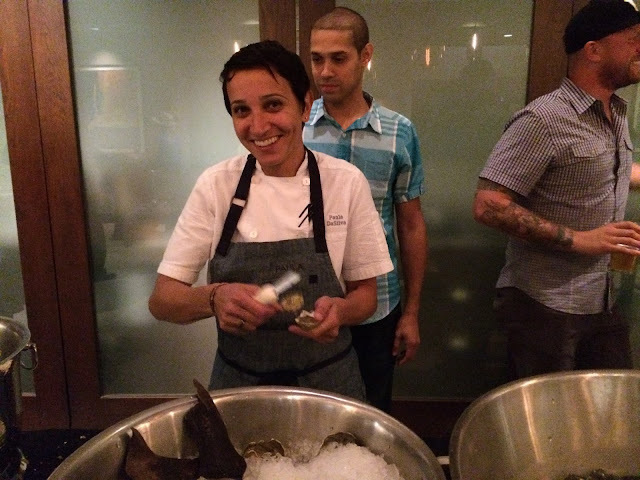 Chef DaSilva was serving the food herself and chatting with all the guests about the food and what she was doing now with Blue Point. That's pretty much when I asked for a selfie with her, which turned out really crappy. She even asked if I was good at selfies, and no matter what I said then doesn't matter! But from here on out, she's Paula! We're buds! 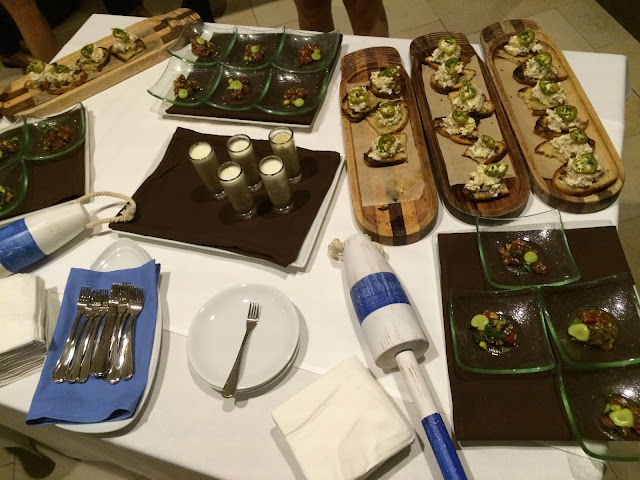 Third Wave: Dessert! Beers were great, especially the Imperial Stout with Sour Cherries. 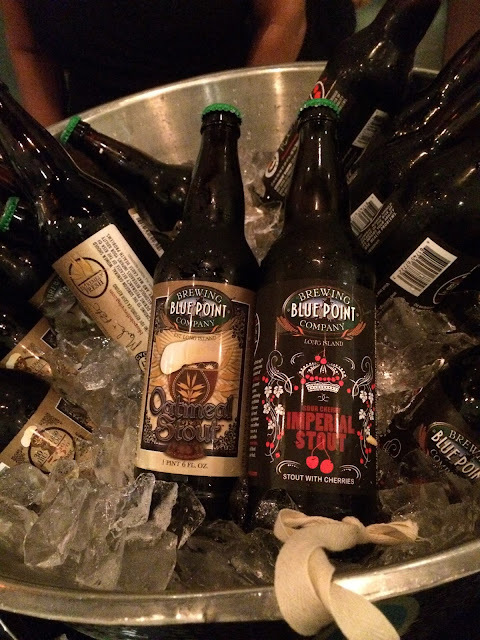 Nice chocolate and coffee flavors with excellent cherry nuances and an alcohol kick. Apparently there is a very limited Heavenly Hills Bourbon Barrel-Aged version too called Jingle Mingle that I expect to try soon. Be nice and I might share! The barrel aging supposedly makes the cherry flavors pop, so I can't wait! Pair that with some of Paula's sweets and, well, I had thirds. Who else was there? Royalty! Dave Butler from FloridaBeerBlog and winner of Concrete Beach's "What Brews You" Contest with his Mojito Cream Ale! I tasted it last week and it's awesome! Jamie and Kym from the awesome Stephens Distributing, though Kym starts next week at a new job with Big Storm Brewing! 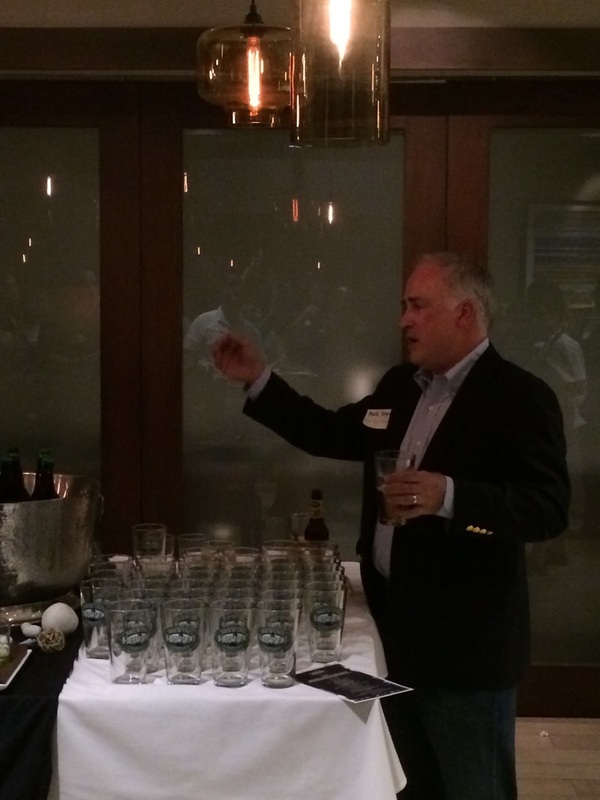 Ed Roberts from Total Wine. The Swanks from Swank Specialty Produce. 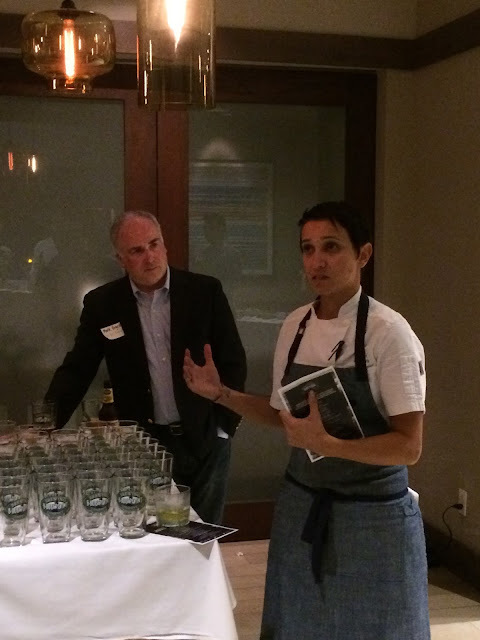 Chef Grenier was there and made a brief appearance but was apparently busier than the Chopped episode she won a few years back. I met some other cool beer and restaurant and media people as well during the evening. So if you're a seafood lover, the new 3030 Ocean is your spot. When we left on Tuesday night, the place was packed, which is obviously a sign that they are making awesome food (I pretty much already told you that)! 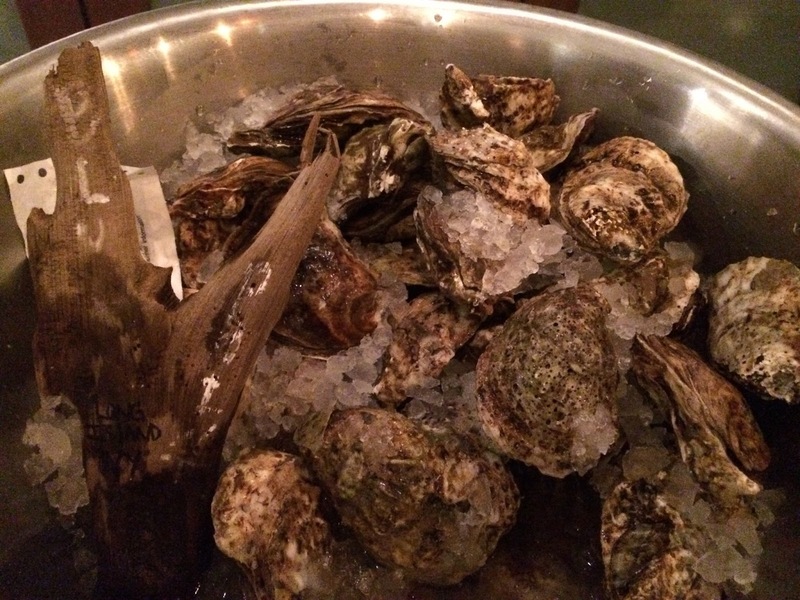 My favorites for the night were the Raw Oyster Bar, the House Smoked Mahi Fish Dip with Pickled Jalapeno on Crostini, the Ceviche, and the Clam Chowder, but everything I ate was really terrific. 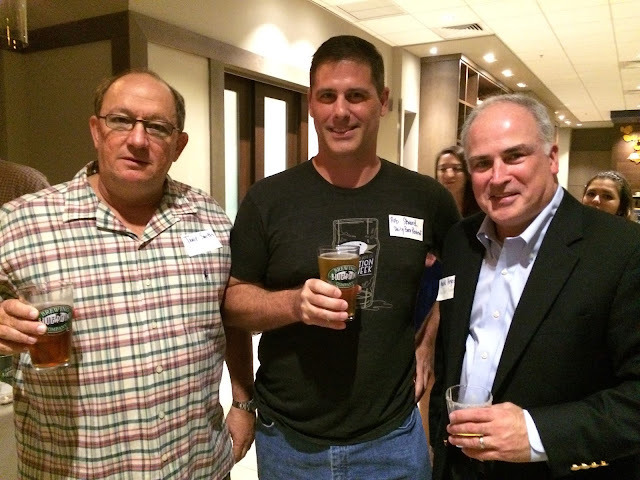 And if you're a beer lover, Mark (who BTW created the Goose Island Migration Week program when he was there) said that Blue Point would be launching a Toasted Tour (named for Toasted Lager) in 2016 with a visit to Miami in February! Keep your ears and eyes open. 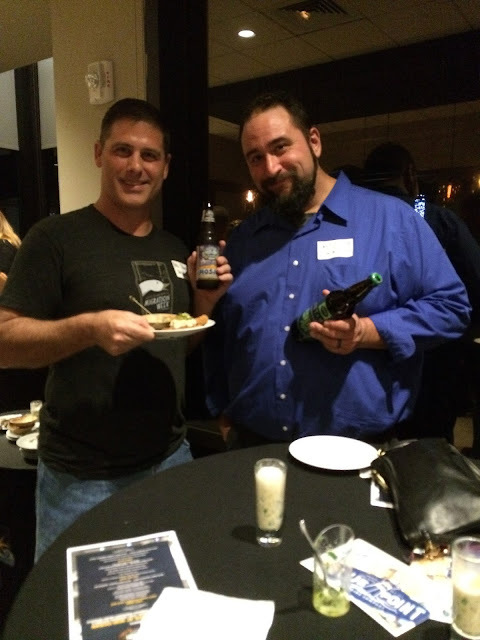 If you're interested in great beer and seafood, stop by 3030 Ocean on your next trip to South Florida! Thanks for the great seafood and beer and conversation! I'll look forward to another visit soon!